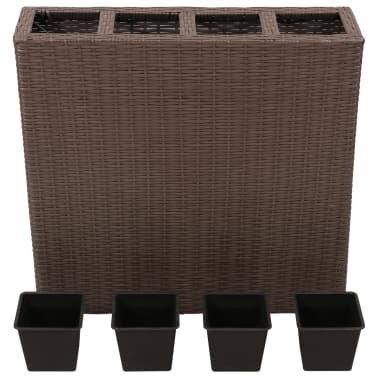 This lovely garden planter set consists of 1 rattan planter and 4 removable zinc pots. 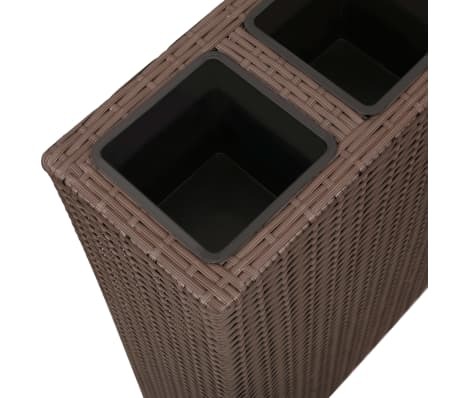 Equipped with 4 zinc container inside the rattan planter, all kinds of lively green plants and flowers can be well placed into the pots. 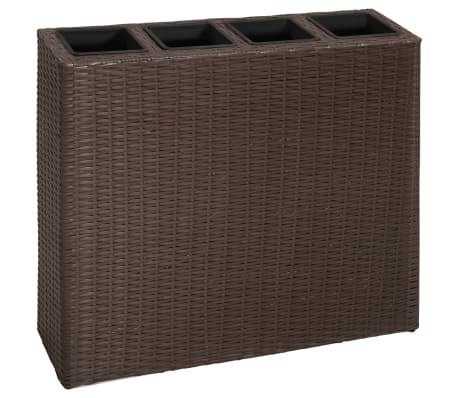 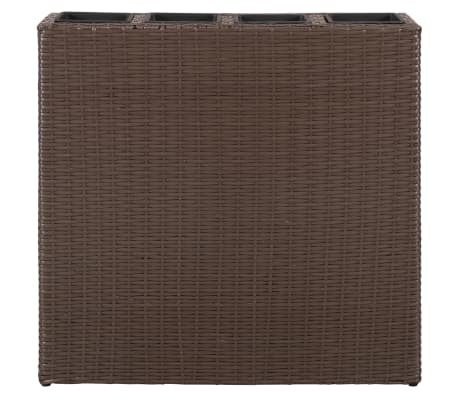 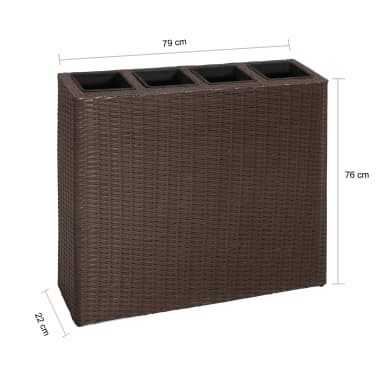 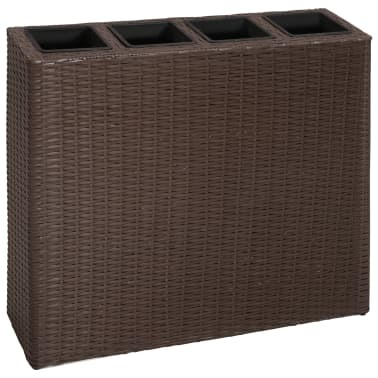 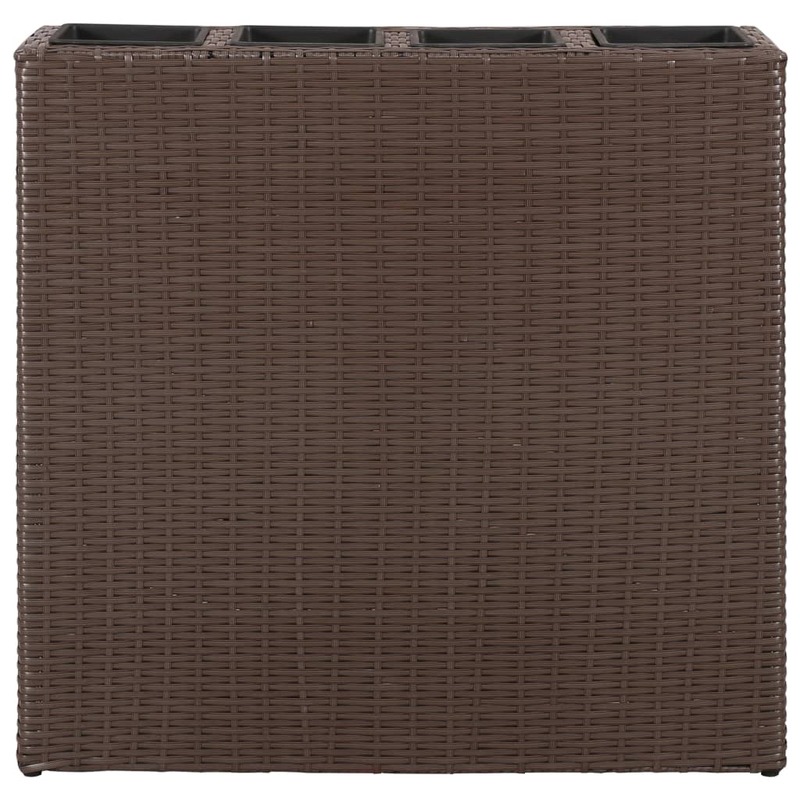 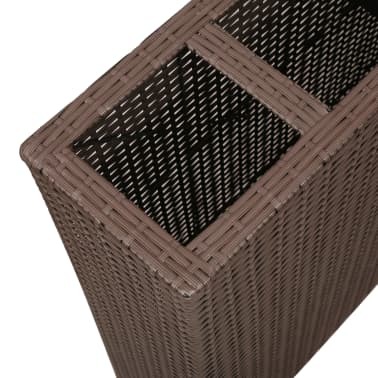 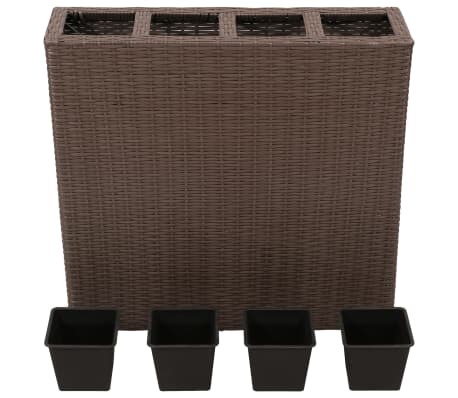 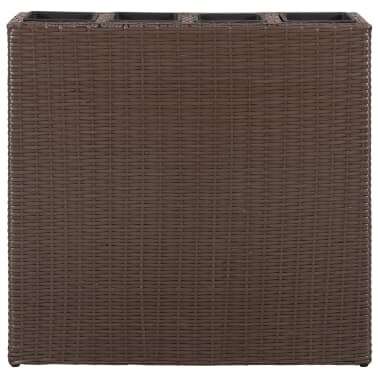 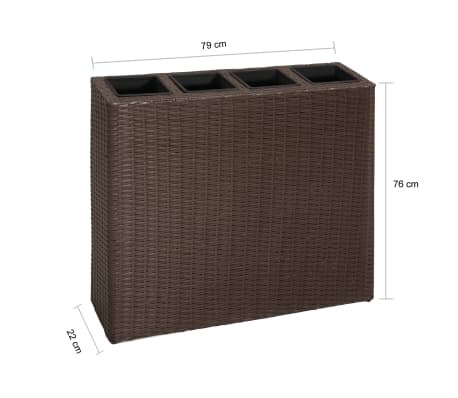 Made of durable weatherproof rattan, this planter will be perfect for outdoor use. 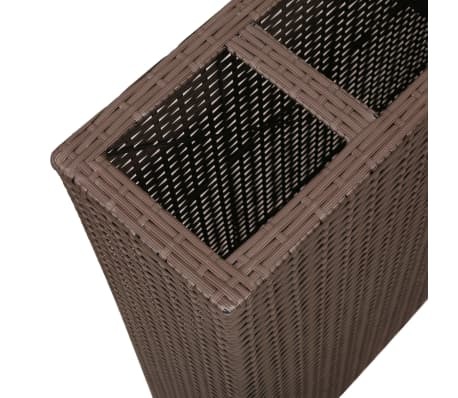 Its tight weaving structure produces a smooth finish and great stability. 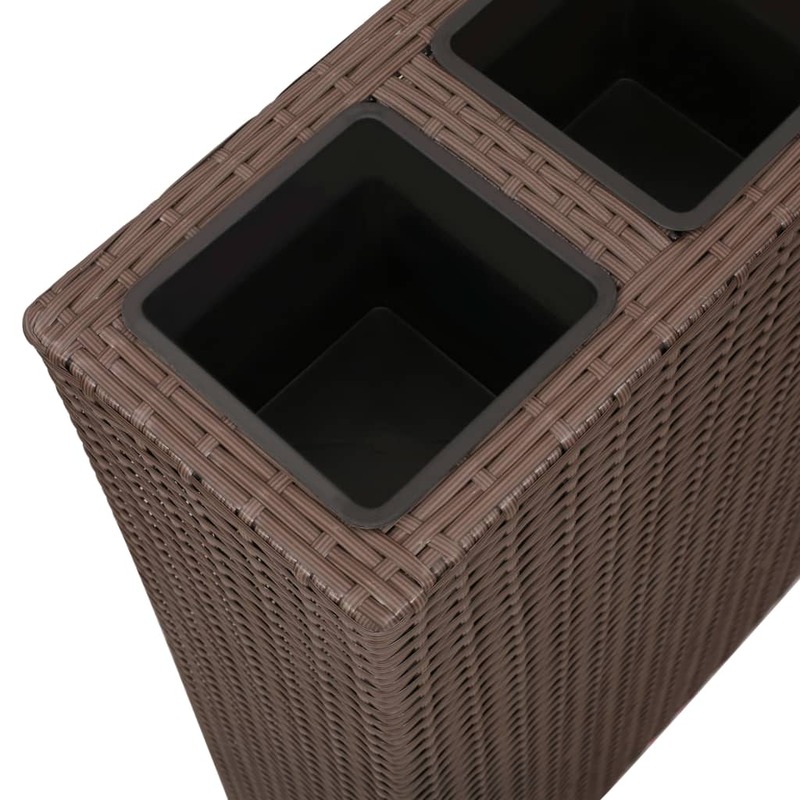 Get ready to add a touch of green to your garden, terrace and balcony with our beautiful planters!